The City of Chicago is looking for its next Rising Star in the arts - to be honored at the 3rd Annual Fifth Star Awards, September 14 in Millennium Park. DCASE is looking for nominations of dynamic 14-19 year olds who are demonstrating potential and passion in the arts. (Last year's inaugural recipient was Abdullah Quick, a CPS graduate from King College Prep, who excels in photography and graphic design.) Candidates must be available to attend the event. Please send nominations (including name, age and brief bio) to dcase@cityofchicago.org. Attention not-for-profit arts organizations with budgets over $2 million! DCASE is pleased to announce the third year of the IncentOvate Program. This grant program provides impactful, flexible funding to help foster innovation in the arts and culture sector ("incentivize innovation"), expands public access to arts and cultural offerings, increases neighborhood engagement and creates new public cultural experiences in Chicago. To check eligibility requirements, funding categories, grant amounts and grant calendar, please visit chicagoculturalgrants.org. - Iron Heart and the 77 Beats - would never have been realized without the catalyzing impact of these grants." "Latin Music on the Rise: How It Is Becoming More Mainstream"
Reverie, 441 N. Orleans St.
Join local music industry professionals and working musicians for a networking series at locations throughout the city. Television personality Nicole Suarez will lead a discussion with top marketing and music industry executives about the rise of Latino genres, and their evolution to become more mainstream and prominent in popular culture with panelists from Cardenas Marketing Network & Latin MIXX. The conversation is followed by a performance by Shaymari. Spartan Theatre Company continues their tradition of developing exciting new works from up-and-coming local playwrights with their staged reading series to be presented at the historic Chicago Cultural Center. Five one-act scripts will be selected for development and presented over five weeks in May and June of 2016. Based on audience response, one of these scripts will be selected for a full production at the 2016 Chicago Fringe Festival. Celebrate Dad with a special brunch or dinner Sunday, June 19 at Osteria La Madia (59 W. Grand Ave, Chicago; 312-329-0400). For brunch, relax and begin with a Bellini. Sip on Osteria La Madia's version with fresh peach puree blended with Nino Franco Prosecco ($12). Start your meal with an appetizer like the Brioche Cinnamon Roll with red wine currents, toasted walnuts, and bourbon icing ($7). Then, choose from entrées like the Smoked Pork Belly Hash with crispy potatoes, arrabbiata sauce, and farm eggs ($13); or the Grilled Brioche Panini with prosciutto cotto, provolone, and fried egg ($12). No trip to Osteria La Madia would be complete without one of its wood-fired pizzas. Try the special breakfast pizzas, such as the Fingerling Potato with Egg Yolk ($13); or the Prosciutto Di Parma with egg ($18). If you're treating dad to dinner, begin with a sampling of traditional cured meats ($8 each/$21 for 3), such as Prosciutto Di Parma and Sopressata, or cheeses ($7 each, $19 for three) such as Grana Padano Parmigiano, Burrata and Taleggio. Choose from fresh house-made pastas such as the Porcini Mezzaluna with taleggio crema, basil and parmegiano ($14/20) or the Farfalle Carbonara with pancetta, market peas, rapini, and a Slagel Farm Egg Yolk ($13/19). Looking for a traditional steak dinner? Try Osteria La Madia's Chianti Braised Short Ribs, served with roasted baby carrots and carnaroli risotto ($25). Osteria's elegant but relaxed atmosphere makes it the perfect place to celebrate with the entire family this Sunday. For Father's Day brunch or dinner reservations, call 312-329-0400 or visit http://osterialamadia.com. Every Day After 9, Half-Price Pasta: E very night for its late-night diners seated after 9 p.m.
Food specialties include Carnaroli Risotto with Black Alba Truffles and Pecorino; Wood Roasted Who Branzino with Fennel, Grapefruit and Pine Nuts; Pan Roasted Chicken with Braised Winter Vegetables, Capolini Onions, Apple, Jus; Slow Roasted Leg of Lamb with Acorn Squash and Fingerling Potatoes, and Chianti Braised Short Ribs with Roasted Baby Carrots, Carnaroli Risotto, and Grana Padana Parmigiano. Looking for something to sweeten Dad's morning coffee this Father's Day? Fuel the morning with Firecakes Donuts (2453 N Clark St, Chicago, IL 60657, (773) 666-5277 68 W. Hubbard Street, Chicago, IL 60654, (312) 329-6500). June 18 and 19 Firecakes will offer a special Father's Day donut double stacked with Valhrona chocolate icing and peppered candied bacon ($15). This would pair perfectly with a cup of their artisan coffee from La Colombe Roasters. Or treat the whole family to a mouthwatering assortment of delicious donuts including Honey Glazed, Maple Glazed Pineapple & Bacon, Butterscotch Praline, Coconut Cream, as well as their seasonal specials such as Sicilian Pistachio Old Fashioned and Apple Cinnamon Fritter. "We strive to take something simple and make it special," said Chef Jonathan Fox. Share the simply wonderful experience with dear old dad. Firecakes Donuts, serving artisan donuts that are freshly made on-premises using the finest ingredients, are located at 68 W. Hubbard and 2453 N. Clark in Chicago. The Firecakes "Billy" Donut Truck can be found at various times throughout Chicago. Store hours are: Sunday through Tuesday, 7 a.m. to 10:30 p.m. and Wednesday through Saturday from 7 a.m. to midnight (or until sold out). Firecakes Donuts also operates a Donut Truck, which runs daily beginning at 7 a.m. and serves fresh donuts in neighborhoods throughout the city throughout the afternoon, weather permitting. The Donut Truck also can be booked from private events and catering; please call 312-329-6500 for more information. Delivery, catering and pre-orders are available. Please place orders by 3 p.m. for next day pickup or Chicagoland delivery. Firecakes also serves a giant birthday cake donut and an ice cream donut sandwich. Firecakes Donuts serves coffee from La Colombe Roasters. Major cards are accepted. For more information, please call the stores at 312-329-6500 (W. Hubbard St.) and 773-666-5277 (N. Clark St.) or visit the website at http://firecakesdouts.com. Follow Firecakes on Facebook (www.facebook.com/FirecakesDonuts), Twitter ( http://twitter.com/firecakesdonuts), and Instagram (www.instagram.com/firecakes). For over sixty years, Rock N' Roll Hall Of Famer Mick Fleetwood has made epiphanic creative decisions. His tenure in Fleetwood Mac has been a creative odyssey of restless exploration and sage artistic instincts. Having sold over 100 million records, the band is one of the best-selling artists, and its music is woven deep within the fabric of our daily lives. On June 30th, Morrison Hotel Gallery is honored to be joining forces with this cultural icon for a gallery opening at Fleetwood's General Store in Maui, Hawaii located at 744 Front Street, Lahaina, Hawaii. Fleetwood's is a boutique that incorporates the culture and style of the Hawaiian Islands with a world traveler's flair that only Mick Fleetwood can provide. "Morrison Hotel Gallery is the real deal in fine art music photography," says Fleetwood. "It's a world I have lived and breathed for my whole life, and thus serves as a constant reminder of how lucky I am to be part of that historical musical journey!!" The parties will toast their partnership with an exhibit from award-winning and culture-defining photographer-and MHG co-founder-Henry Diltz, whose catalog includes albums shots for the Doors, Crosby Stills and Nash, James Taylor, Joni Mitchell and hundreds of others. "Mick Fleetwood represents the artistic and authentic history of music as a true purveyor of taste and culture," says MHG co-founder Peter Blachley. "Morrison Hotel Gallery has also been striving for many years to present those same qualities. 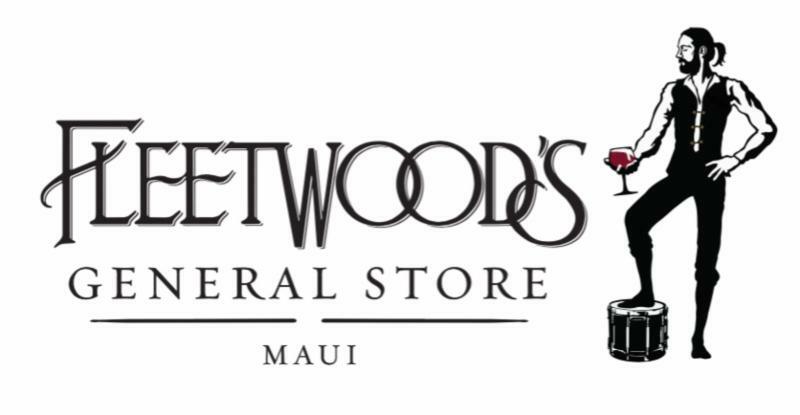 We are delighted to be part of Fleetwood's General Store in Maui. It's going to be a wonderful pairing of brands." For many of us, an 80% failure rate is simply too daunting. If someone were to ask that we put virtually everything on the line; our job, home and income – flip a coin – and we would win only 20% of the time, most of us would walk away. Not an entrepreneur, an entrepreneur is a different breed. They believe in and follow the “half full” outlook on life. Instead of only a small chance of success, they tend to believe that with this opportunity, they have the potential for a double digit chance of success – no matter the true number. Entrepreneurship can be an adventure. Like any adventure, a clear understanding of the risks, pitfalls and challenges can be the difference between success and failure. Is there enough working capital? What are the options when it comes to structuring a company and how does one choose which entity is right? What are the exit strategies available if the venture succeeds or fails? These are some of the questions that should be explored before ever heading down the path to starting one's own company.
. Already an Amazon best seller, his book walks a potential entrepreneur through the process of considering a business idea, implementing it and then when it’s time to exit his business, how to exit it successfully. A serial entrepreneur himself, Steele has found success in the financial planning sector, real-estate market, appraisal and mortgage industry and in greenhouse nursery operations. This book uses real world examples and stories from a lifelong approach of successfully navigating the hazardous waters of business creation and ownership. , the fair will bring an international selection of 50+ exhibitors from 8 countries including China, France, Spain, South Korea, the United Kingdom, Cuba and the United States, showcasing work from emerging artists and modern masters alike. Tickets $100. Admits two and includes return admission all weekend. Tickets $75. Admits two and includes return admission all weekend. Limited onsite parking available on Opening Night. Additional offsite parking available via complimentary shuttle. Valet parking available for a fee. Complimentary and paid valet service available during general admission. Opening Night: Hamptons Chic (optional seasonal sport coat or blazer & slacks / dress shirt, casual button-down shirt / optional tie / open-collar or polo shirt). General Admission: Smart casual (neat, yet informal attire). Children 12 year of age or younger are admitted free of charge. Based in Kennesaw, GA, and founded in 1995, Urban Expositions produces and manages a portfolio of 40 events including Art Aspen, Art Hamptons, Houston Art Fair, Art Palm Springs, and the Sculpture Objects Functional Art and Design Fair (SOFA CHICAGO). at 9:30 PM ET / 8:30 PM CT (encore airing on Sunday, June 26th). The film celebrates the evolving role and impact of fatherhood in America today. McKee from Flint & Steel says, '"While creating this project, it was essential that we assemble a dynamic roster of notable people from various interests and circumstances. The fascinating and diverse stories range from Danica Patrick driving her father's truck at age 6, to Laird Hamilton ‘choosing’ his step-father on the beaches of Hawaii, to Fabien Cousteau at age 9, piloting the fabled Calypso on the night shift." Each interviewee acts as a lighthouse for the conversation about father/child relationships, and together the subjects provide unique insights on the role and value of fathers. At a time when the definition of patriarchs has never been more pliable or prescient in the U.S., POP CULTURE invites viewers to consider how fathers from across all corridors of culture have nurtured some of the country’s most enduring achievements. To magnify the efforts of the documentary, Flint & Steel and Glenfiddich have partnered to support broader programming for POP CULTURE. Glenfiddich’s support began in 2015 with the “4 Fathers” digital promotion, a search for the nation’s four most inspired, dynamic dads. The four finalists of the contest were flown to New York City and filmed for inclusion in the documentary. In addition to “4 Fathers,” Flint & Steel and Glenfiddich will soon announce other programs surrounding the national launch of POP CULTURE, which will run throughout the year and serve to spark meaningful engagement, discourse and counsel to dads across the country. Flint & Steel creates content and marketing solutions that spark meaningful and durable engagement - transforming citizens into enthusiasts and corporations into advocates. From content, to digital, to innovation, they mimic the mojo of cultural phenoms to provide their clients with the functional benefits of an intellectual property. It’s the only way to ensure ideas that SPARK new sales, advocacy, partners, channels and more. Glenfiddich – the world’s most awarded and best-selling single malt Scotch whisky – is run by the fifth generation of the Grant-Gordon family and today is one of the few remaining family-owned and operated distillers. From dream to dram, the Glenfiddich journey began in 1886 when founder, William Grant, realized his dream of creating the ‘best dram in the valley’ in Dufftown, Scotland. Equipped with distilling expertise, gained after working 20 years at the Mortlach distillery, Grant purchased the necessary tools for the job and he found his premises in the beautiful nearby field of Glenfiddich, Gaelic for ‘valley of the deer’ that also included a pure water source provided by the Robbie Dhu Spring, a vital ingredient in the production of quality whisky. The Glenfiddich distillery was born on Christmas Day 1887, when spirit first flowed from the Glenfiddich stills. The combination of crystal clear water from the spring, home-grown barley, pure Highland air and the unusually small size of the stills, produced an unrivalled single malt Scotch whisky.